On this hour of Cruise Control with Fred Staab and Les Jackson. 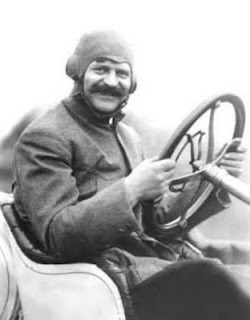 The Indy 500 and Chevrolet have shared a common history for 100 years. We'll take a look at how America's race helped start GM's most popular division. Plus Chevy power returns to Indy next year in the form of a high output V6.. But next weekend the Camaro convertible will be upfront setting the pace. And speaking of Camaro's we got one 2011 model with a rat rod patina and another that's been completely chromed. Juked: Why some Nissan Juke owners will be getting a refund..
All that and a whole lot more when we get rolling on this edition of Cruise Control Radio.